Azizi Aura is a fully-furnished 17-storey apartment building under construction in Downtown Jebel Ali. The building will contain a total of 349 studios, 87 one-bedroom, and 43 two-bedroom apartments, all with spacious bedrooms, en-suite bathrooms, furnished kitchens and a balcony. Studio layouts range from 320 sq ft to 392 sq ft, one-bedrooms from 663 sq ft to 886 sq ft, and two-bedrooms from 1,173 sq ft to 1,357 sq ft. 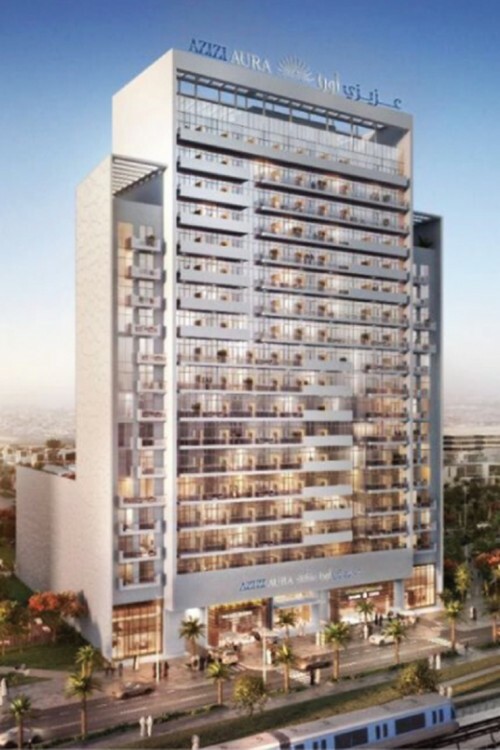 The apartments in Azizi Aura are promised to be of '5-star hotel quality' and feature floor-to-ceiling windows. Amenities will include landscaped gardens, a swimming pool, a gym, a spa and health club, a podium-level café and restaurant, and 16,000 sq ft of upscale retail space. The building is conveniently located directly adjacent to the UAE Exchange metro station on the Red Line. The scheduled handover date is Quarter 4, 2018. One-click links to properties currently on the market in Azizi Aura Residence.